I find when you read others blogs about new releases and products they swear by, you end up picking up a lot of things because this blogger said is was good and she swears by it etc etc. Sometimes the products end up working really well for you and other times they end up being thrown to the back of your makeup collection never to be touched again. 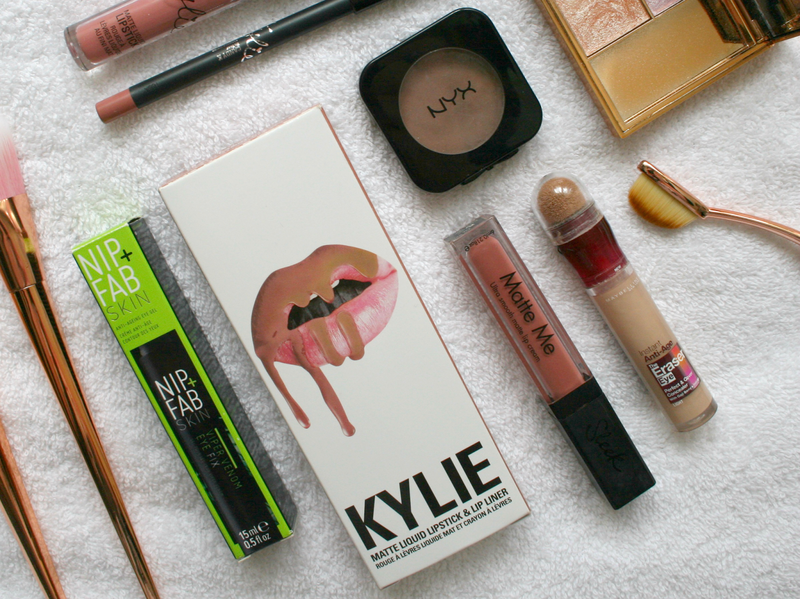 Today I decided to feature products that I think are definitely worth the hype around them! 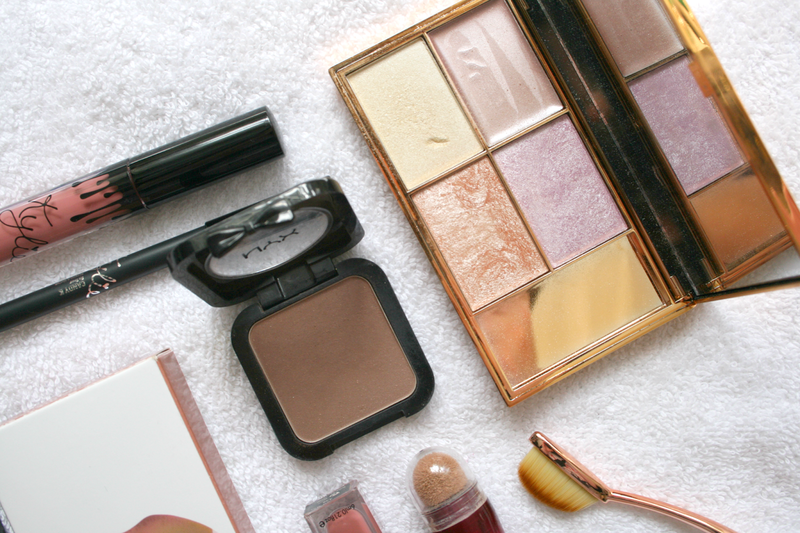 Starting with the Sleek Solstice Highlighting Palette. The highlighting palette that everyone and their dog is going crazy for! Consisting of 1 cream and 3 powder highlighters it's probably the best drugstore highlighting palette on the market right now. Seriously though if you haven't gave into the hype about this yet definitely give it a swatch, because for €14.49 it's an absolute bargain. It also comes with a decent sized mirror so it's handy to travel with which is always a bonus! The NYX Blush in Taupe is something that I've added to my collection this month. I had heard so many people go on about how this was the perfect shade for contouring fair skin. As I'm as pale as Snow White I was excited to give this a try as I love the Soap and Glory Solar Powder so I wanted to see would this be better or worse. I actually really love this, it's the perfect and I mean perfect shade for us fair skinned gals. It's not too brown nor warm, it almost has a grey undertone to it but it's just perfect! Again definitely give this a swatch if you come across a NYX stand. For €7.75 it's definitely worth giving it a whirl, I find it the perfect size to swirl my Real Techniques blush brush in. When I first tried Nip + Fab I honestly didn't get the hype around it, however this time round I tried the Viper Venom range especially the Eye Fix and oh my goodness I've never been so in love with an eye product more in my life. Now while I've seen a few posts about this range I'm more so talking about the hype around Nip and Fab in general but at the moment this is the only range I'd recommend! If you're looking for an eye cream to cool puffy eyes (especially if you suffer from hay fever) de-puff those chanel bags or get rid of dark circles, this stuff is your answer. It's a roller ball applicator which is instantly cooling to the skin when you apply it, it's also a gel instead of a cream and I just honestly cannot recommend it enough. It's also targeted at helping reduce the look of fine lines and wrinkles. It's a tad pricier than the usual eye cream I'd use €19.99 but honestly it's so worth the price tag. 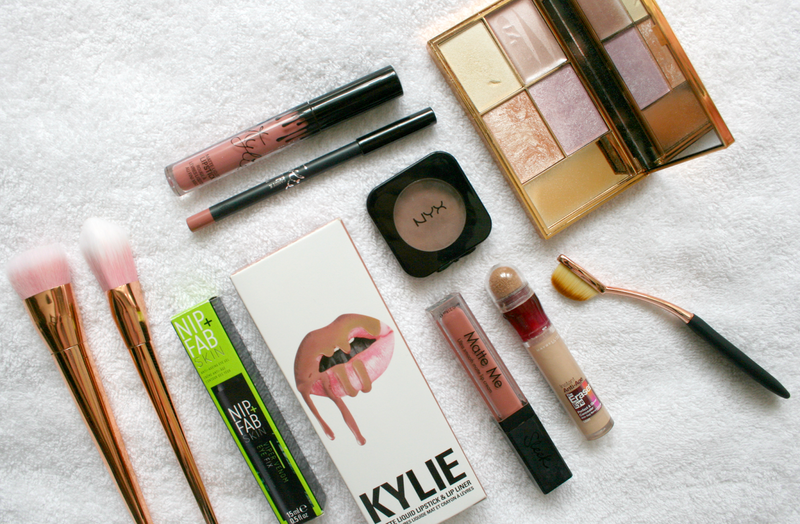 Moving onto the ever so famous Kylie Lipkits. Now theres an equal divide down the middle with these, you either love them or hate them. I adore them, I don't understand how people can dislike them because I honestly cannot find a fault in them anywhere. From the outer packaging to the packaging holding the product I think is amazing. Then the product itself is so long lasting, non-drying and just all around brilliant I cannot rave about these enough. I did a whole post about everything I ordered from the website here! For €26 you get your lipliner and liquid lipstick and it's worth every darn penny! A cheaper alternative if you don't have the cash to splash on the Kylie Lipkits are the Sleek Matte Me Lipcreams. They come in a range of colours and last pretty well on the lips. Some are even rumoured to be dupes of some of the famous Kylie shades (post coming soon!). Again Sleek are a great drugstore brand and everything they bring out does not disappoint. Their Matte Me Lipcreams will only set you back €6.99! Definitely worth taking a look at if you're after the matte lip trend at the moment. I'd definitely recommend checking out Birthday Suit, it's my favourite shade from the range. And finally something I have always wanted to try and finally gave in and bought it. The Maybelline Eraser Eye Concealer. For years I've seen Bloggers recommend this day in and out and I'd always walk by it while picking up some new makeup bits. Last month though I finally caved and bought it as I was wanting a new under eye concealer. I GET IT NOW OKAY! This stuff is bloomin fabulous. It's creamy, conceals really well and over all I just love it. I picked up the shade light as I wanted it to conceal my dark circles but also highlight under my eyes aswell. I swore by the NYX HD concealer and while I still do I haven't used it since I picked this one up. It also lasts really well. It's €11.99 but it lasts for so long and it's honestly such a great product. If you're in the market for a new concealer definitely give this a whirl. Have you tried any over hyped products recently, did the live up to the hype? YESS! I love the Sleek Solstice palette! I literally agree with all of these! I own all of them haha. I do like the Sleek Matte Lips but I find some shades work better than others, I have petal and it just goes streaky no matter what you do. The Maybelline concealer is one of my holy grails! I adore the NYX blush in taupe, its my go to contour since I'm so pale - I really need to pick up the Sleek Solstice palette as well, honestly looks gorgeous! I really want to buy some more Kylie lip kits, I love mine too!